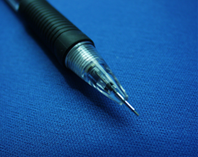 Before Becoming a Technical Writer… | Writing Assistance, Inc. Writing Assistance, Inc. Most of the time, writing is a profession that sort of happens. Whether a person has been trained in school or they’ve been singled out as being the only one with a talent for words, becoming a writer isn’t necessarily a planned career course. While a person might have had dreams of becoming a famous author, the truth is that publishers are more interested in already published authors than those who want to become famous. The next natural response for someone looking for a writing career is to look for a writing position that pays well: technical writing. Skills necessary – Just as with any job, the more skills a technical writer has ahead of time, the better. Well-paid technical writers will understand HTML, Java, FrameMaker, perhaps XML, PageMaker, CAD or any of a number of other software programs and programming languages. It’s not just about writing that makes a person a proficient technical writer. Work style – For those who like to be social in their careers, technical writing may not be the best possible choice. Much of the time, this work needs to be self-motivated and energized, rather than team based. A team meeting might be called for at the start of a technical writing project, but once the project begins, a writer may find himself or herself staring at their computer until the tasks are complete. Day to day tasks – Those who are interested in technical writing will also find that their schedules are never quite the same as the day before. They might find they complete one task one day, but the next day might require different skills and strategies. For those who aren’t interested in routine, this type of writing might be a perfect fit. No matter what the technical writing market, the writer needs to be aware that this type of writing is different. Not everyone is cut out to be a technical writer, and that’s okay too. It just means only the best of the best will remain in the profession ready to face the ever-changing challenges so typical of this career. Technical Writers: Which Skill Sets are Important?